2 What is Insomnia or Sleeplessness? Insomnia is a sleep disorder in which the person is unable to fall asleep or it is hard for him to stay asleep. The duration of sleep varies from person to person but adults need seven to eight hours of sleep per day. There are two types of insomnia. This type of insomnia may last for days or weeks and it is common in adults and it can occur due to stress or traumatic event. It is the second type of insomnia which may last for months or even more, therefore, it is also called long-term insomnia. Stress about work, health, finance, school and family and it also includes traumatic events including death or illness of a dear one. Loss of job may lead to insomnia. It means if you are working for late hours and traveling to multiple time zones and changing of shift at work also become a cause of insomnia. If you are having more than enough food before bedtime it will make you uncomfortable. Additionally, it will also lead you to acidity and heartburn. Medical conditions including Cancer, Diabetes, Parkinson’s disease etc. Coffee and tea can prevent you from falling asleep. 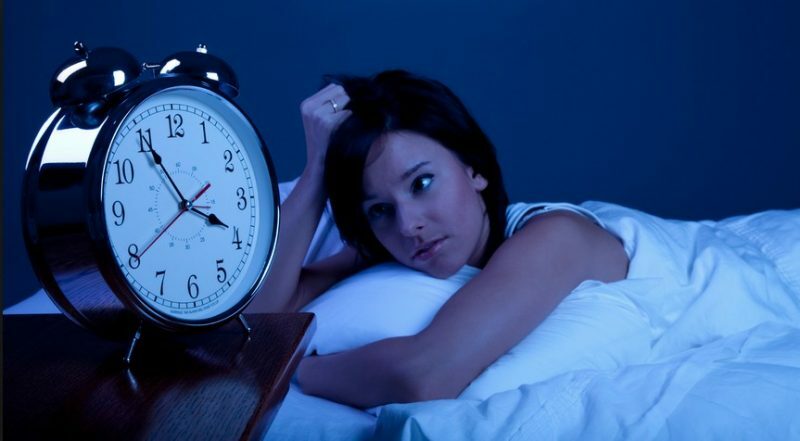 If you are looking for insomnia treatment in homeopathy, you are at the right place. It is due to the fact that homeopathy gives effective and safe treatment for both types of insomnia whether it is acute or chronic. They are devoid of side-effect because the source of the medicine is natural. Homeopathic medicines for insomnia have the ability to control and treat insomnia. Homeopathic remedies have the ability to restore your sleep and provides you the quality of sleep. Additionally, you will not depend on those medicines if you are using homeopathic medicine for insomnia. You can stop them whenever you have got cure from this medical condition. Coffea Cruda is the best and natural homeopathic remedy for insomnia where it occurs due to constant thinking. It is an excellent homeopathic medicine for sleeplessness when the brain remains busy with thoughts, repetition of thoughts and over-activity of the brain. If the patient is having trouble in dealing with the disturbance of dreams, Coffea is the best homeopathic treatment for such cases. It may accompany with waking up suddenly, restless sleep and sleeplessness due to the abuse of coffee. It is also considered to be the top homeopathic medicine for insomnia when insomnia is a result of acute diseases. Kali Phos is the best homeopathic medicine for insomnia when it occurs due to anxiety, stress and worries. The reason of stress may be related to business, studies and health problems. Kali Phos also works efficiently when insomnia follows by over-working or exertion of mind. It is also a useful homeopathic remedy for sleeplessness when it occurs due to over-study, excessive mental work and nervous fatigue. Kali Phos is also a useful homeopathic treatment for sleeplessness when it is induced by a drained out mind. Ignatia, Natrum Mur and Aurum Met are the best homeopathic medicines for sleeplessness when it occurs due to depression. When insomnia occurs because of acute depression, Ignatia is the best natural treatment for insomnia. Aurum Met and Natrum Mur are excellent homeopathic remedies for insomnia occurring from chronic depression. When sleeplessness occurs as a result of depressing thoughts, acute grief, emotional disturbance, disappointed love, death of dear ones and failing relationships, Ignatia is the best homeopathic cure to insomnia. The patient of this medicine also remains sad and weeping spells are also common. When sleeplessness follows by longlasting grief, repetition of thoughts in mind, it is an indication of homeopathic remedy Natrum Mur. Aurum Met is another homeopathic medicine for insomnia when it occurs due to melancholic mood and profound depression along with negative thoughts in the mind. The negative thoughts may include hopelessness, worthlessness and urge to end life by making an attempt to suicide. Nux Vomica is the best homeopathic remedy for insomnia when the patient can easily fall asleep but unable to maintain it. In such cases, the person falls asleep easily but wakes up around 3 am and after waking up, they are unable to sleep again. This natural remedy is also suitable for insomnia when it occurs due to the abuse of tobacco, caffeine and alcohol. Sleeplessness due to the tension of business also asks for Nux Vomica. In addition, if the sleep gets disturbed due to anxious nightmares including nightmare of misfortune such as accidents are also indicating the usage of Nux Vomica. Pulsatilla is another homeopathic cure for insomnia when the patient is unable to sleep. The patient of this medicine is unable to sleep at night and when it’s time to get up in the morning he feels sleepy and goes to sound sleep. If the person wakes up with a slight sound, Coffea Cruda and Opium are the best homeopathic treatment for insomnia. Homeopathic medicines give the best cure to sensitive people. Homeopathic remedies Coffea Cruda and Opium are beneficial when a noise from a long distance leads to sleeplessness. When insomnia occurs along with restlessness, Rhus Tox and Arsenicum Album are the top homeopathic medicines for such cases. Arsenicum Album is an excellent homeopathic medicine for insomnia when it comes with anxiety and restlessness, the patient frequently changes his place due to restlessness and anxious thoughts. The anxious thought may be related to health and trivial matters. Homeopathic medicine Rhus Tox is a useful homeopathic remedy for sleeplessness when there is a continuous tossing in bed with restlessness is marked. The patient is unable to find the comfortable or peaceful spot to fall asleep. If the patient feels sleepy at day time and faces insomnia at night, Rhus Tox is a suitable medicine for sleeplessness. It is also helpful when insomnia occurs due to body aches or pain. Borax, Chamomilla and Cina are the best homeopathic remedies for sleeplessness in children. Cina is the best homeopathic cure for child when the child is restless and tossing in bed at night. The child also screams and cries at night. In this natural remedy, the child falls asleep when he is rocked violently. Chamomilla is beneficial for insomnia in children when it is a result of earaches, colic and dentition problems. If the child is sleeping well during the day and sleepless at night, Borax is the best homeopathic medicine for insomnia in such cases. Borax is also beneficial where the child wakes up suddenly, cries and wake up due to frightening dreams. Passiflora Incarnata and Baryta Carb are the best natural homeopathic remedies for insomnia in elderly people. When the patient feels sleepy and unable to sleep Baryta Carb is the best homeopathic medicine for insomnia in such cases. In Baryta Carb, the patient wakes up frequently and his sleep is filled with anxious dreams. Passiflora is another homeopathic remedy for sleeplessness or insomnia in aged people which is accompanied by restlessness. In addition, it is also a useful homeopathic medicine for sleeplessness in alcoholics. Don’t lie in the bed awake (after thirty minutes if you are unable to sleep, you better do something else until you feel sleepy). Create a relaxing bedtime ritual including reading or listening to music or have a warm bath.